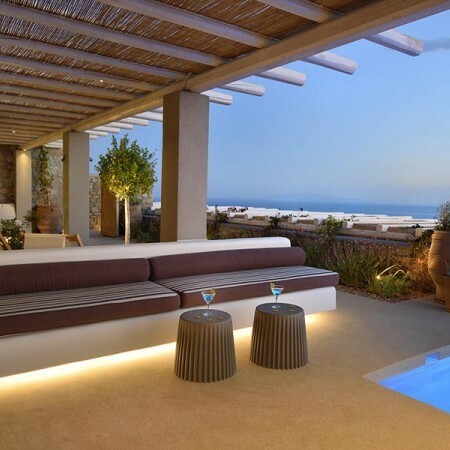 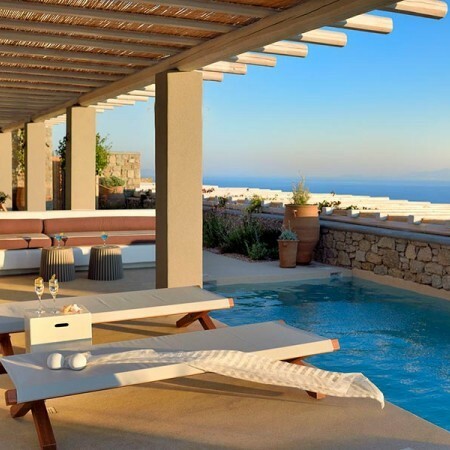 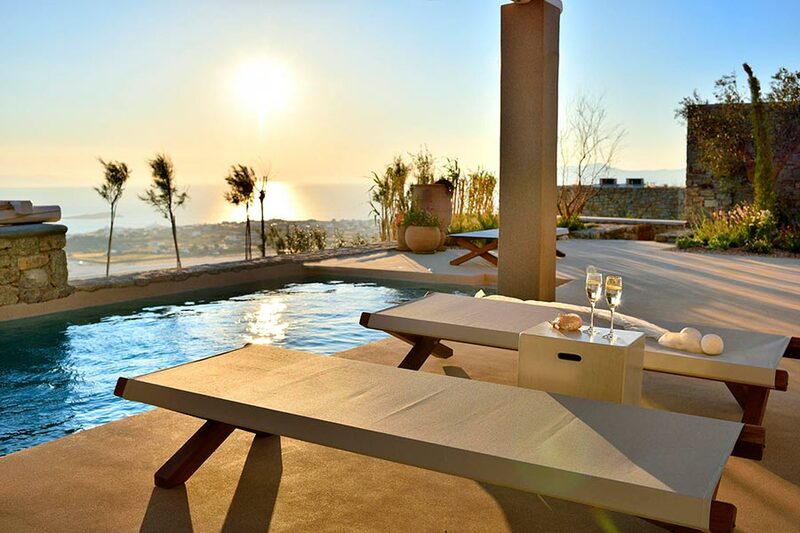 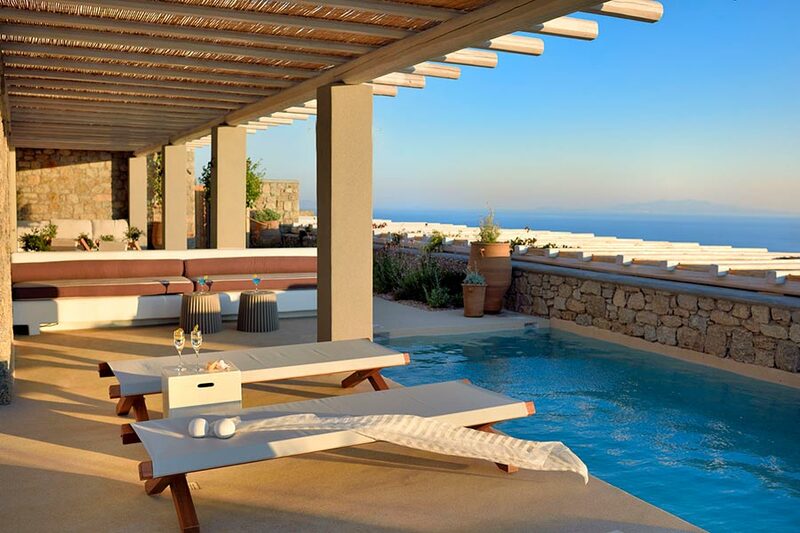 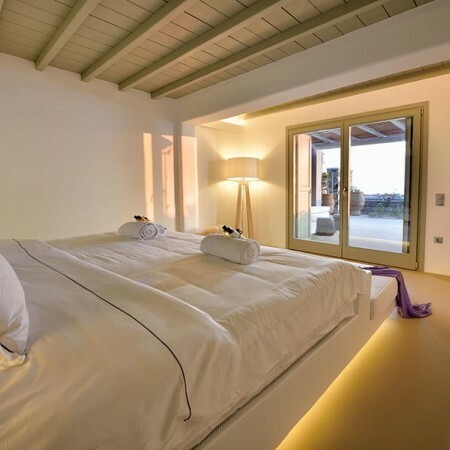 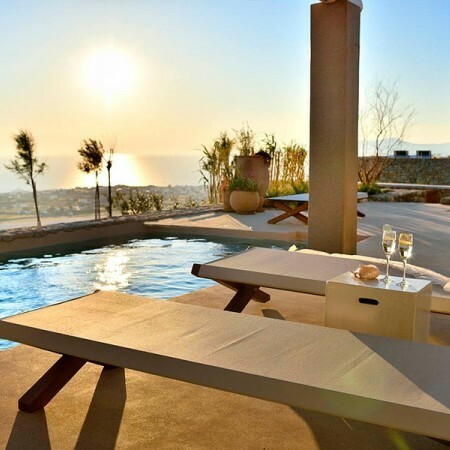 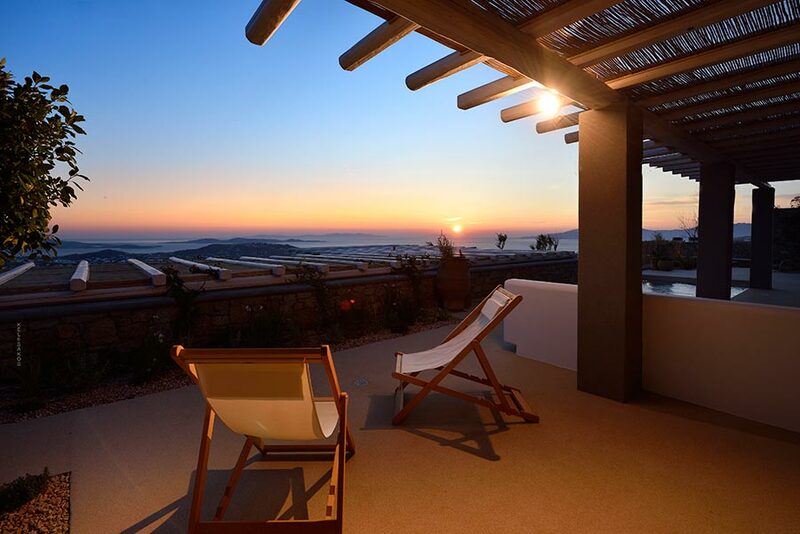 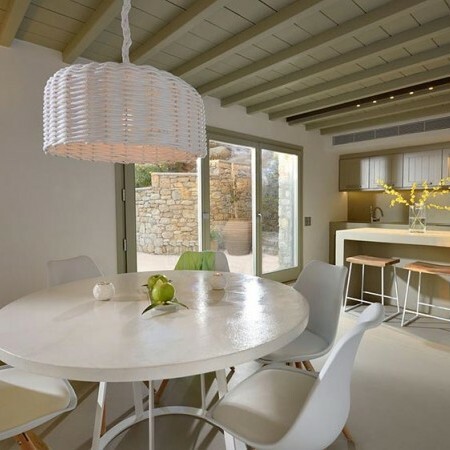 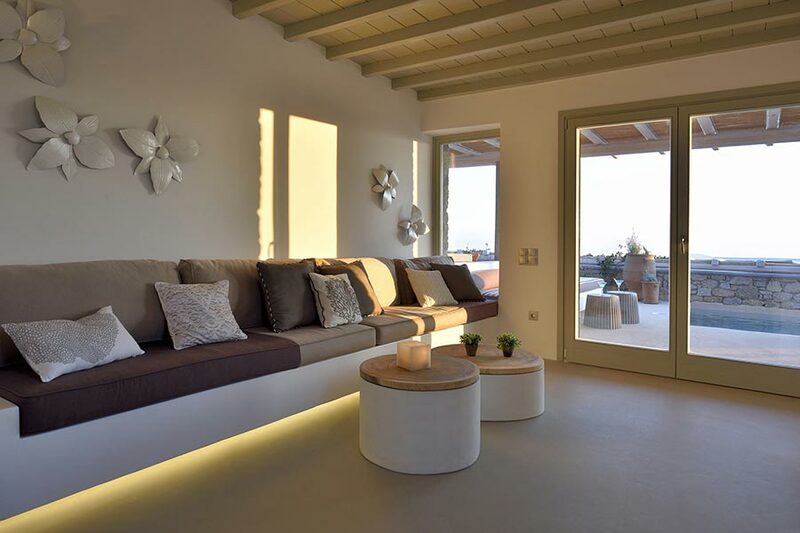 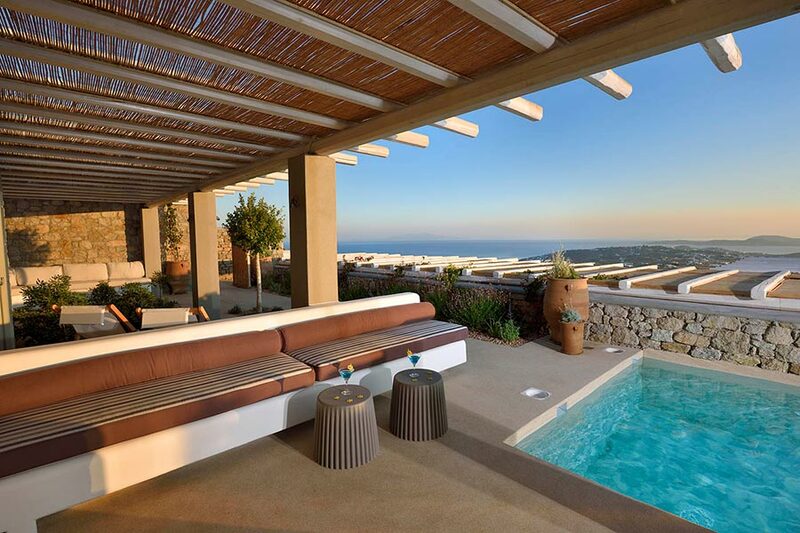 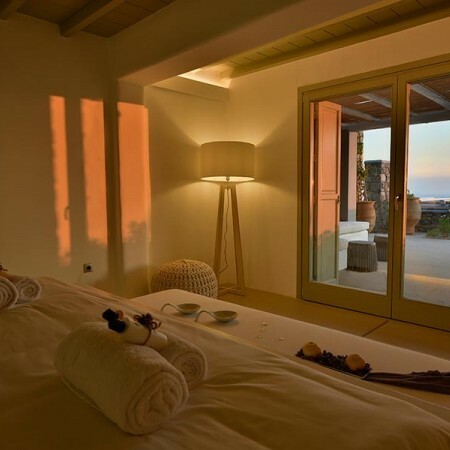 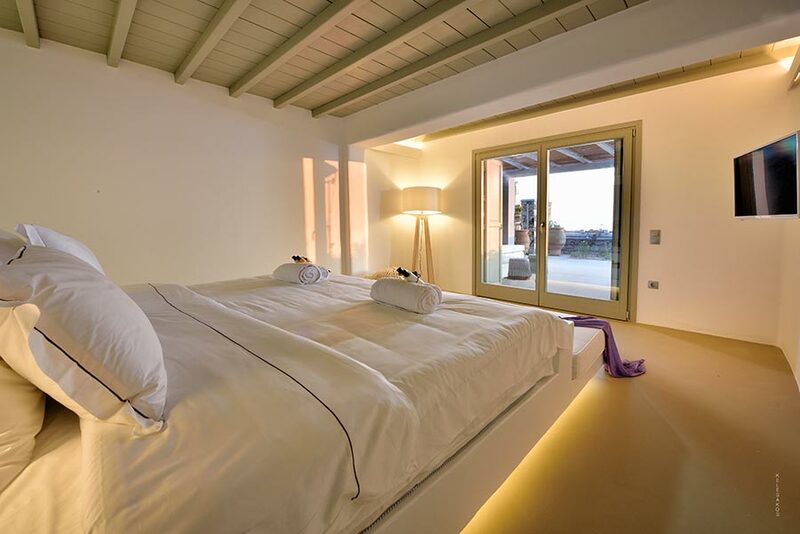 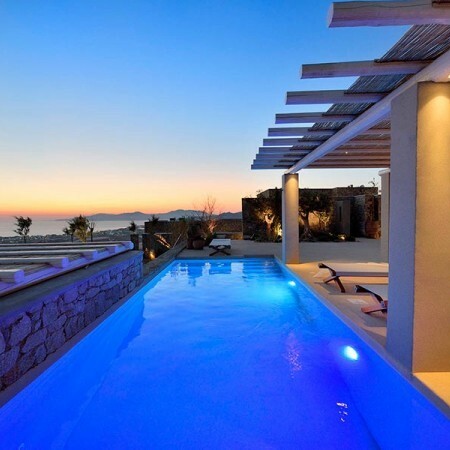 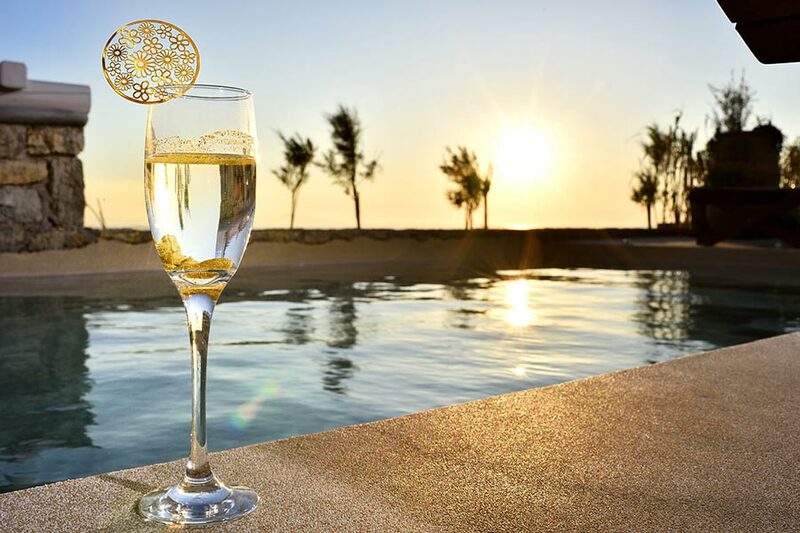 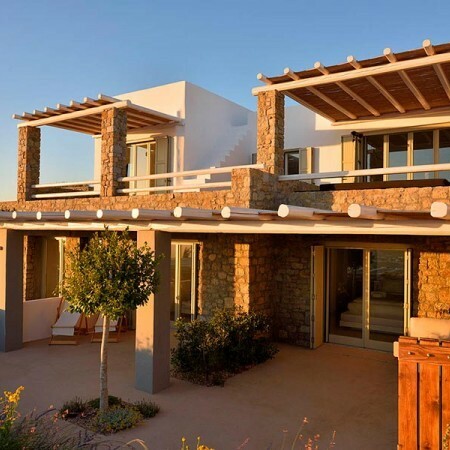 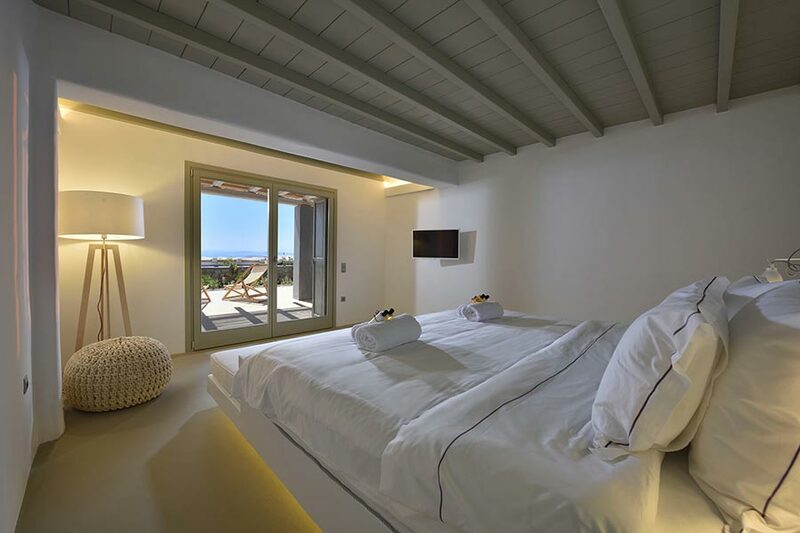 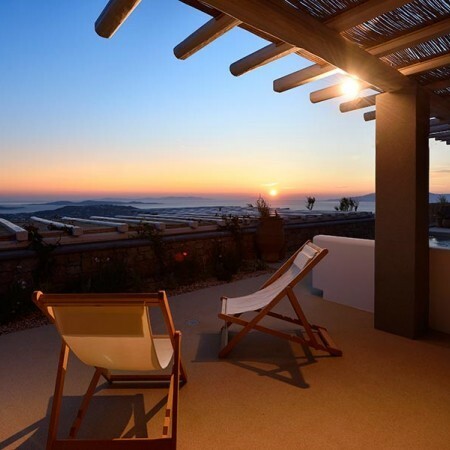 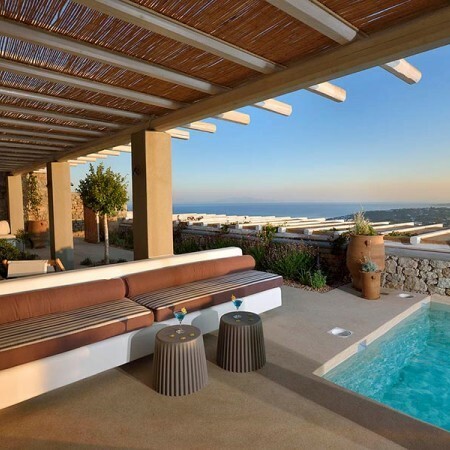 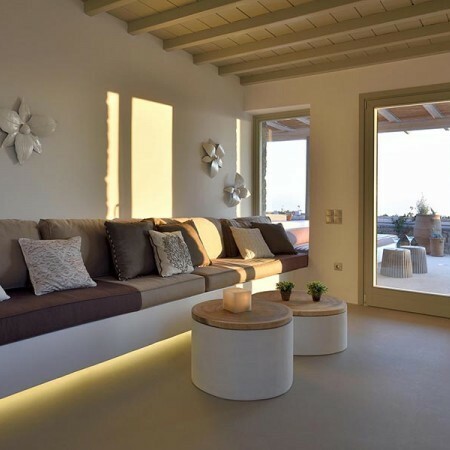 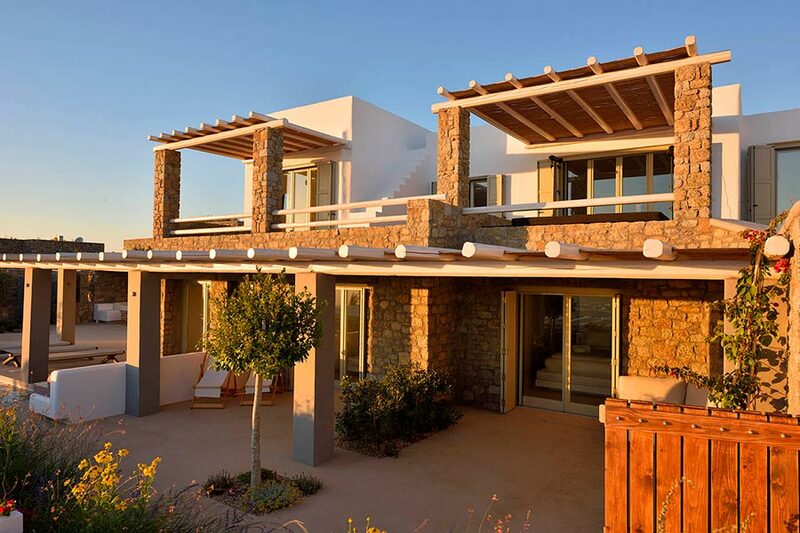 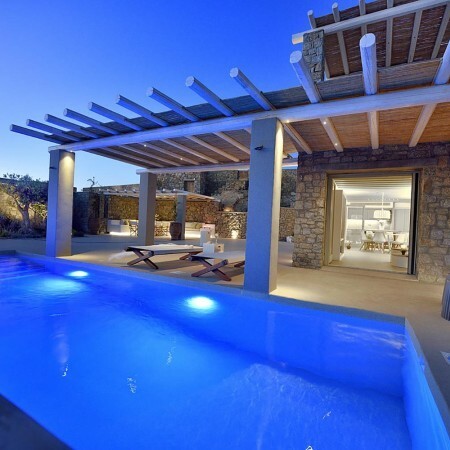 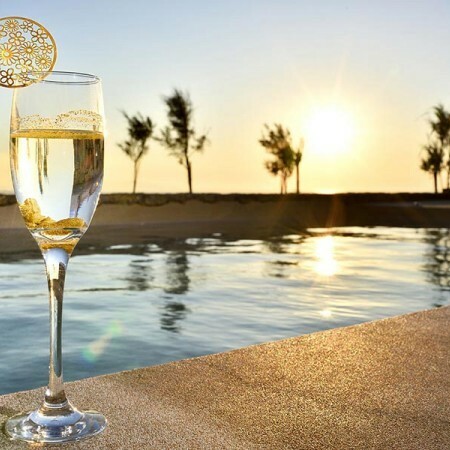 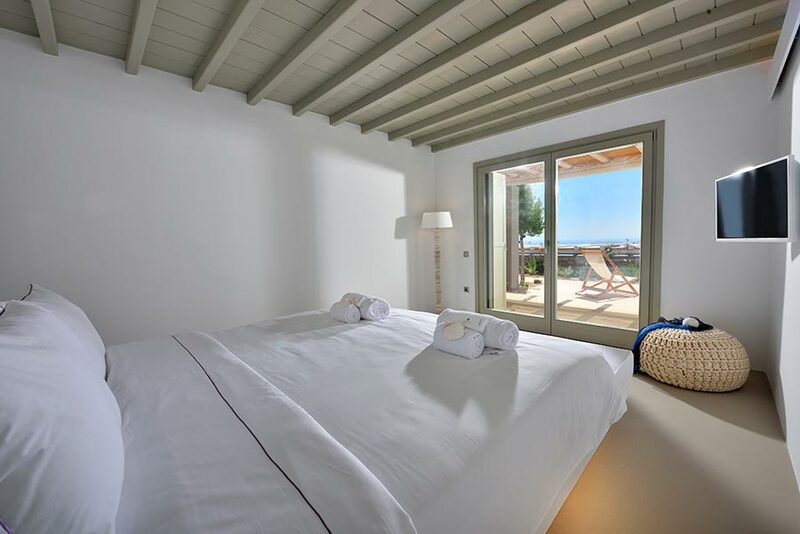 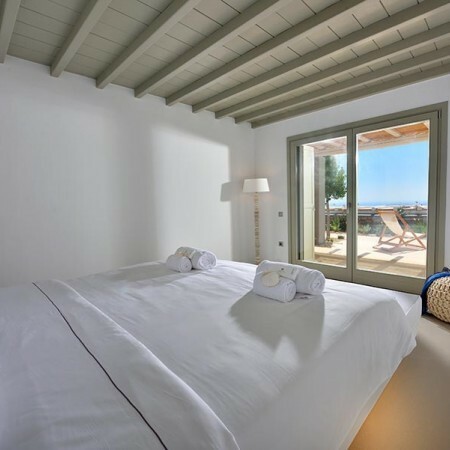 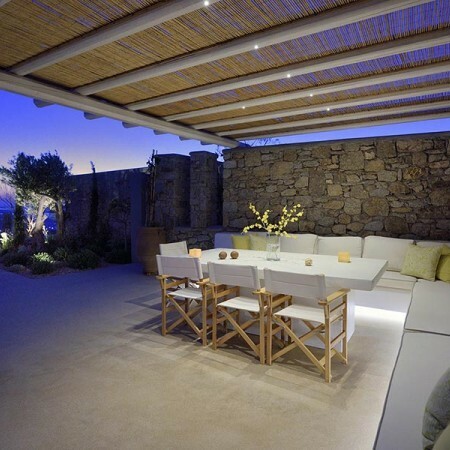 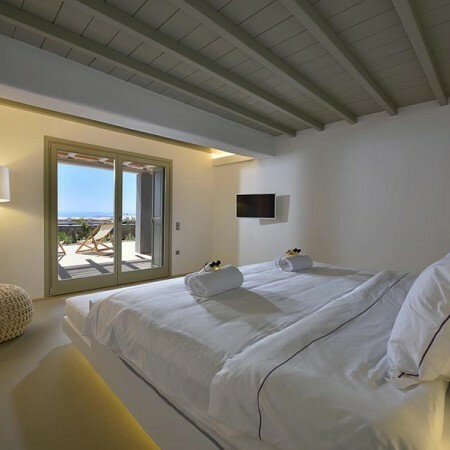 Ajoite Villa is the twin of Villa Agate consisting of 3 master bedrooms with en suite bathrooms and infinity views from the bed to all the Aegean Sea, terrace in front of every room, fully equipped kitchen, WC, living and sitting room areas. 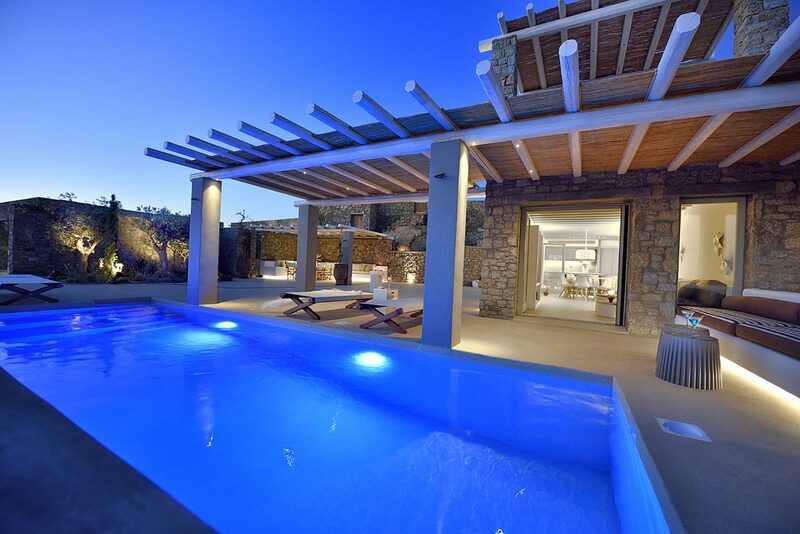 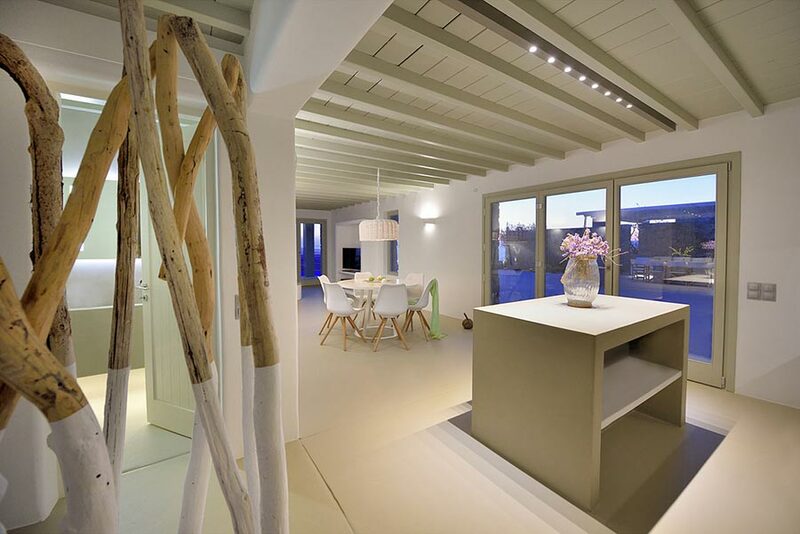 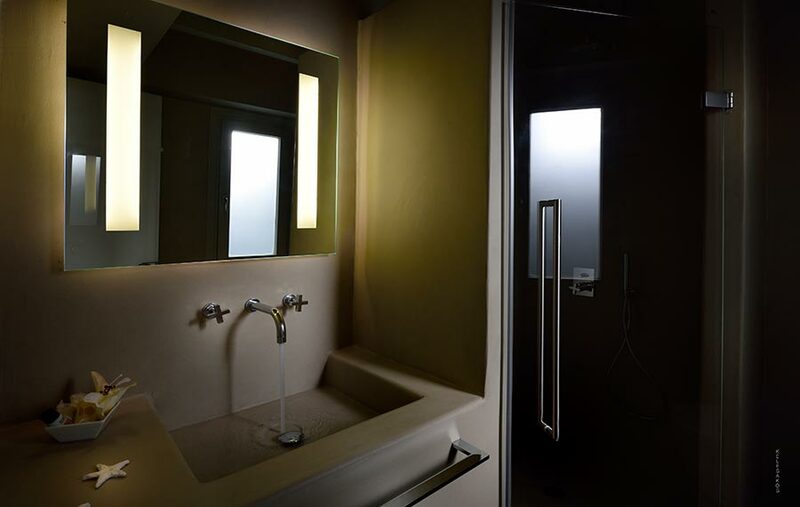 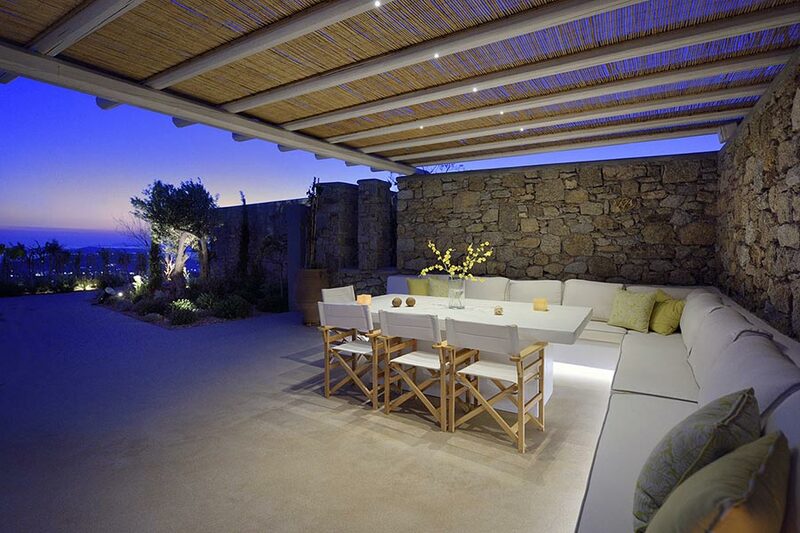 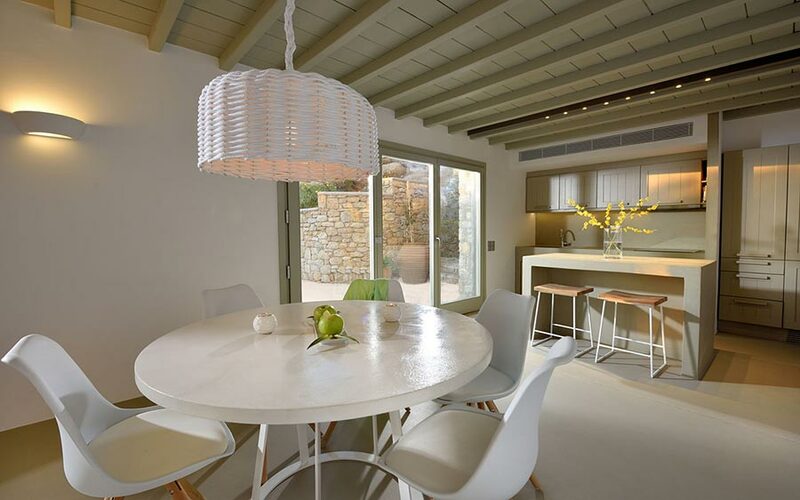 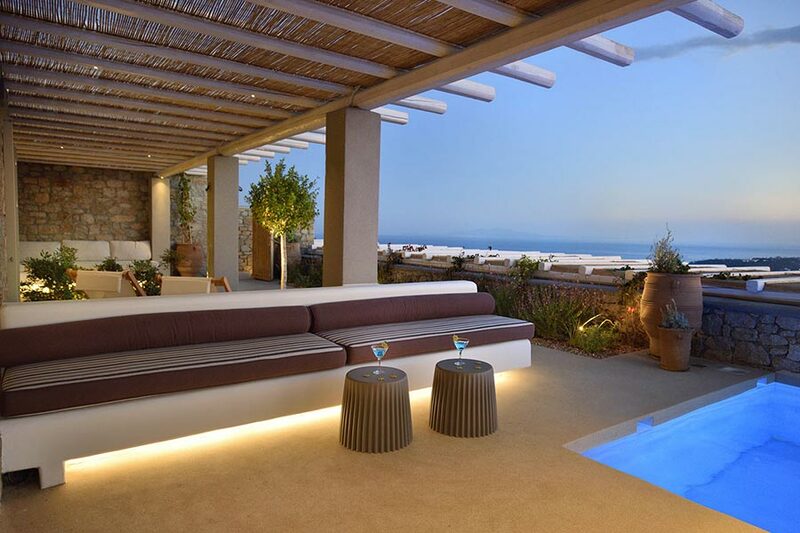 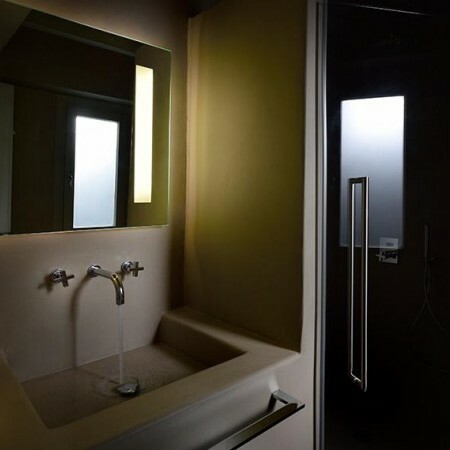 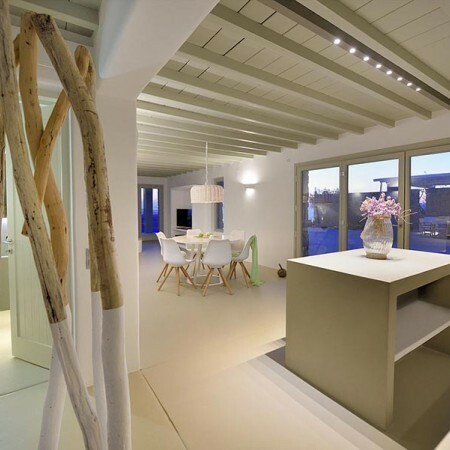 A ground level villa with a total of 150m2 that can accommodate up to 6 guests. 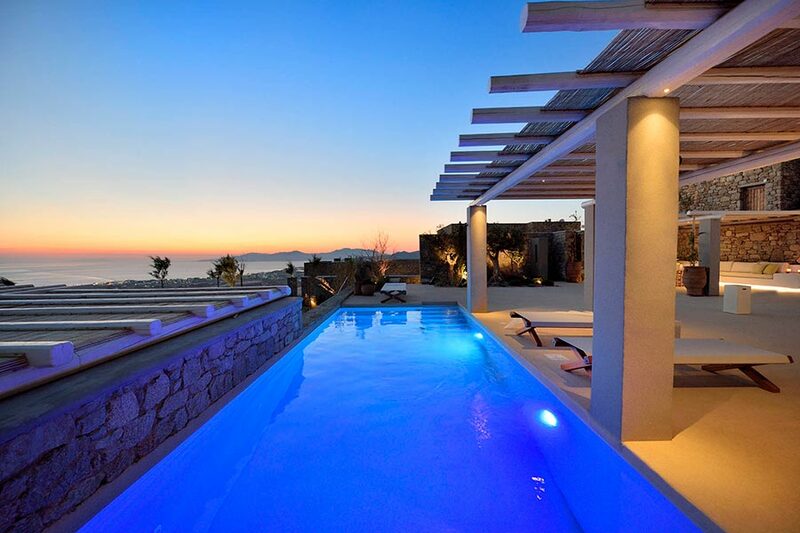 Ajoite villa has its own private pool with Jacuzzi (30m2), magnificent outdoor dining and sitting areas that spread over the 170m2. 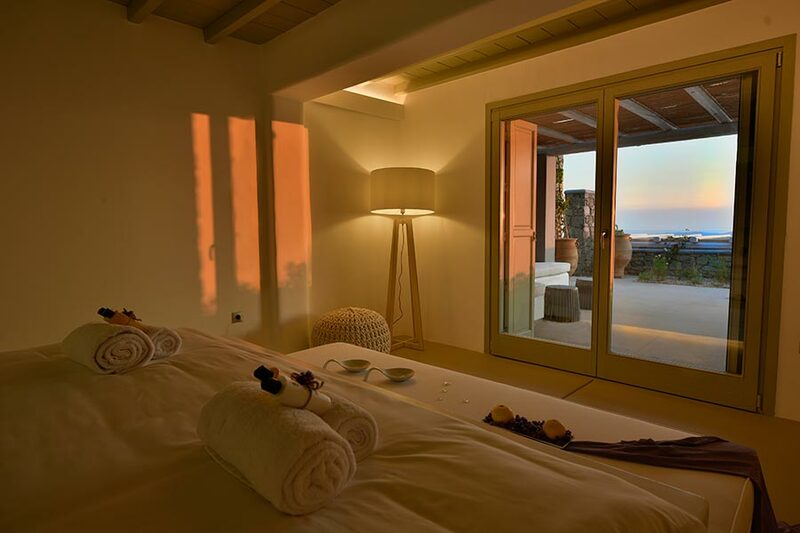 The marvelous plantations match perfectly the scenery of Kounoupas hill and provide the isolation needed from other guests in the complex.